A cruise can be a great vacation. Some travelers even claim it’s the best bang for your buck. If you’re traveling with children, you may wonder how to go about planning the perfect cruise. There are so many wonderful things that cruises offer: amazing itineraries, entertainment, unlimited food, and in most cases, childcare! Planning your first-time cruise? Whether it starts with research or leads to finding a great travel agent, these cruise tips will help you plan a stress-free cruise plus the most memorable trip you have ever experienced. Here’s the thing about cruises. People either love them or they hate them. For this reason alone, if this is the very first cruise you may want to book a shorter one. There are itineraries as short as three days. Me personally, I felt that a shorter cruise was not satisfying. But don’t base your experience on mine. If you don’t like cruising, you only have to make it through a couple days rather than a week or even a month! There are so many different cruises, cruise lines, and ports to sail from. Some popular cruises are Carnival, Royal Caribbean, Norwegian, MSC, Princess & Disney Cruise Line. We have sailed on most of those I mentioned. Not all cruise ships are the same but most cruises are family friendly. 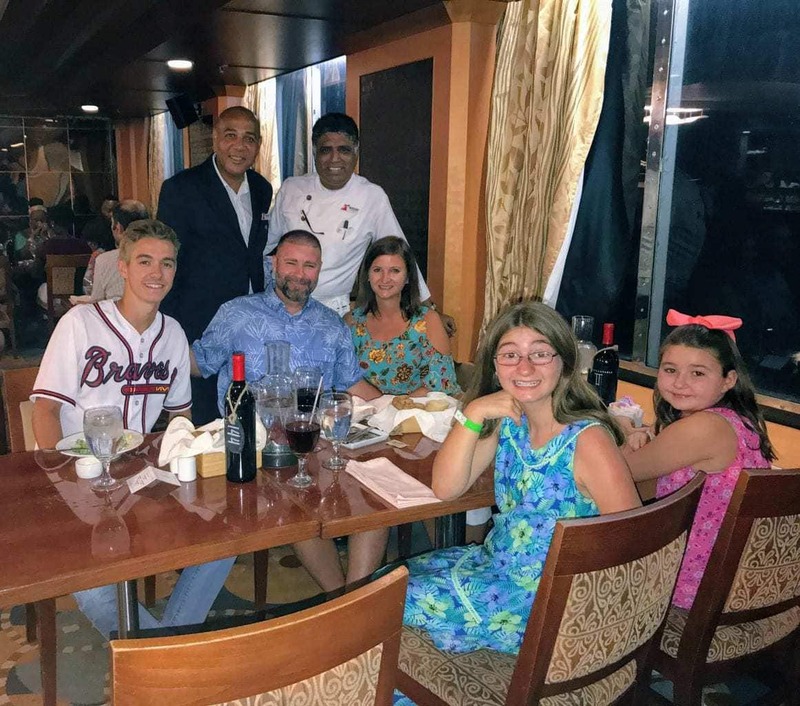 If you are looking for a cruise where there is limited or no children then Princess or Celebrity may be your best choice. Research all your options and check out the ships, port destinations, and children’s activities available with each cruise. More importantly, read reviews. This is where you’ll want to keep a detailed list. Once you’ve narrowed down your options, start writing down why each cruise is a good fit for your family while also making a list of why it’s not. Write down your favorite destinations and your least favorite. Check out the cruise ships and also the cruise ports. Compare pricing to similar cruises and also the various cruise lines. You might want to compare airfare too if you are considering flying to the port. Don’t settle on one cruise lines. It may come down to a close tie between two cruises, but having as much information as possible will allow you to make the best decision possible. One thing parents always want to check for is childcare options. While you are taking a family vacation, it can be nice to spend time with just your spouse. Whether it’s a children’s cruise or not, you want to make sure there is some sort of childcare available. One year, my husband and I decided to venture out in St. Lucia and Nassau for the day by ourselves. We felt comfortable leaving our children in the children’s program in order for us to do so. They provided us with pagers in case of an emergency. The children didn’t seem to mind and they had tons of fun in the children’s program. If you know of a large group or family that wants to go with you, you may qualify for group rates. In most cases, you are group qualified if you have eight or more cabins in which two passengers are in each cabin room. A lot of times, you will have one person in charge of your family group and they will receive extra incentives by organizing the group. This could equal almost free cruise fare for one person, reduce rates for your traveling family, or extra amenities per cabin. Often times I see groups set up for family reunions or corporate events. 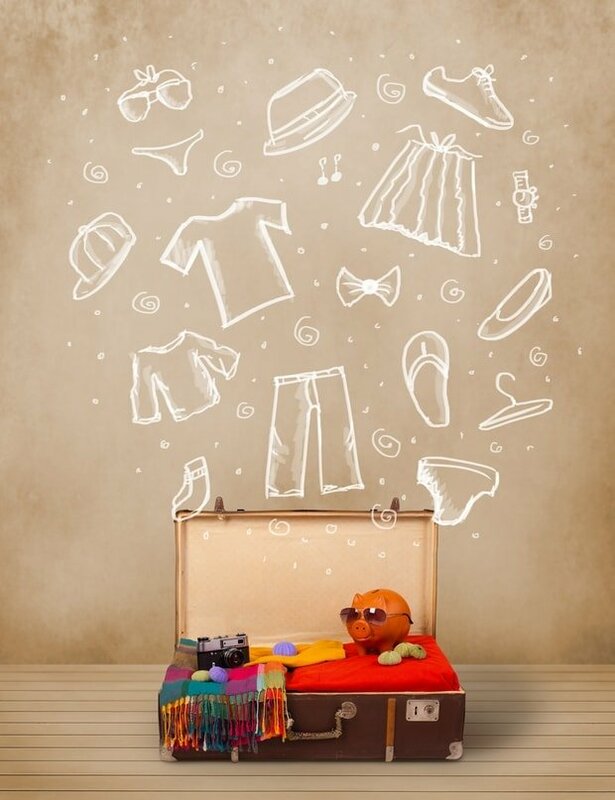 Once you’ve booked your cruise, you want to make sure to pack accordingly. Cruise lines do not carry everything you need. For example, you will need to bring along body wash, conditioner, and other beauty products you like to use. Word of advice— Don’t overpack! Taking four bathings suits may not be necessary. Bring at least one to two formal wear outfits and pack light on the casual wear. You will find you will be wearing your bathing suits or swim trunks more than anything else on the trip. Throw a t-shirt and some shorts on over it and you will be perfect! Most ships also have laundry service so need to bring extra outfits. Carrying around those heavy overpacked suitcases getting on and off the ship can be a bit cumbersome. Also, consider the port destinations you’ll be visiting, pack comfortable shoes for both on and off the cruise ship, and remember to bring motion sickness medication for children and adults. Don’t forget the sunscreen! You can find amazing deals for cruises during the offseason. I see February and September offering great cruise fare rates. But with that being said, cheaper cruise fare may mean the unpredictable weather. If you’re cruising through the Caribbean, the discount may be due to the fact that the time just happens to fall during hurricane season. If this doesn’t seem to bother you then I say go for it! Take advantage of those lower fares. The temperature will still be nice! Just think you could be sailing in the Caribbean in January while your friends back at home are covered in 10 inches of snow! A rumor you’ve probably heard is that cruises include everything you need. Not necessarily. I did mention that cruises are a great value compared to your traditional vacations because it does include your room, entertainment, and food. There are extra costs that you should be made aware of. You need to bring along money for drinks in the mini bar (this includes spirits, wine, soft drinks and bottled water), souvenirs, and specialty restaurants. Also, excursions on the island are not included. Getting off the ship and walking around is great but if you have no planned activities there is not a lot you can do but walk around the port and stores. 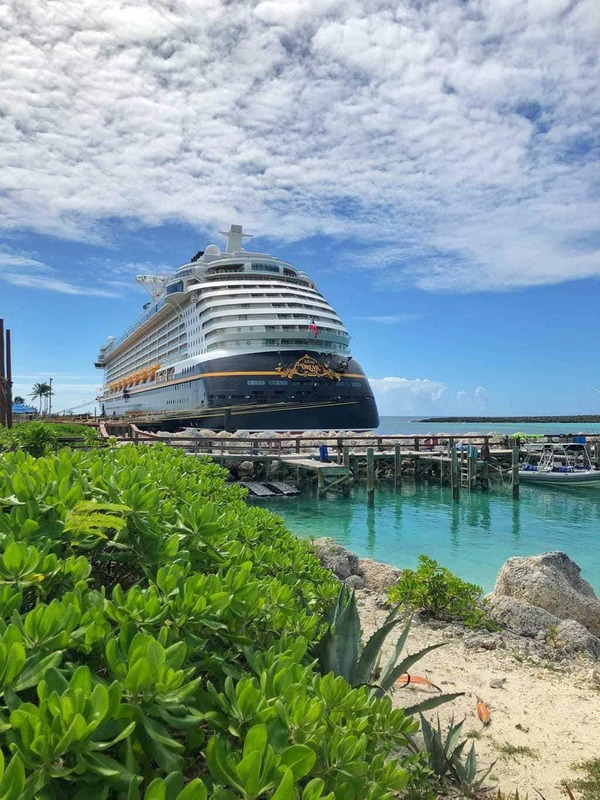 In other words, when planning your first cruise, make sure you add money for all these extras that can add up, plus any island excursions you want to book. Speaking of excursions. When you book your cruise, I highly recommend booking excursions so you can truly enjoy what the islands have to offer. Every cruise we have sailed we always book a snorkeling trip. One year we got to swim with the stingrays. It was an incredible experience and one we will never forget. One misconception I hear too often is that you should only book your excursion through the cruise lines. 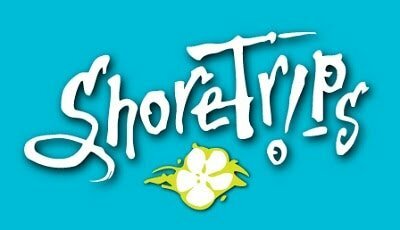 I have recommended ShoreTrips for many years with no bad experiences. 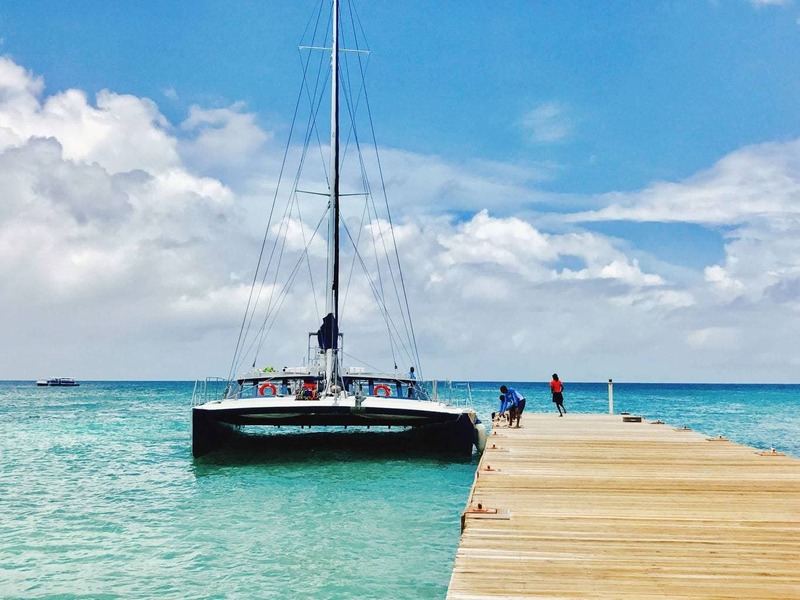 Don’t wait to book your excursion the week of sailing because many amazing excursions will already be booked. Check the fine print about excursions and the ability to get a refund if you change your mind or if weather contributes to cancellation. If you’re having trouble finding the best cruise or getting a good deal, check with your local travel agency. Not only will the company be able to recommend a variety of options that suit your needs, but in most cases, you’ll also walk away with better deals that you could get on your own. Travel agents have access to group rates and can offer extra amenities like onboard credit etc that you will not see otherwise advertised online. There is a misconception that agents charge more but I can assure you they do not. Sometimes, you may have an agent that charges an upfront “research fee” but in most cases that the research fee is applied to your reservation balance towards the final payment. Paying the research fee is worth your valuable time. Travel agents are there to make your vacation planning as easy as possible. Let them do all the research for you. Do me a favor though, don’t waste their time if you are not ready to book or plan to book on your own. A family cruise can be a wonderful experience and vacation option. It just takes a little bit of research so that you choose the right cruise for you and your family. Not only do you get to enjoy so much on the ship, but you get to visit some pretty awesome destinations that you more than likely wouldn’t have thought before to visit on your own. It can even be one of the most affordable vacations you’ll ever go on. Are you ready to book your cruise vacation? What cruise tips would you suggest to families cruising for the first time? I’ve decided that I would really love to go on a cruise! Will never go on a cruise heard many bad things about it like falling aboard etc. I went on a short cruise with my husband and we didn’t enjoy it at all. We felt trapped and bored. I’d certainly go with a large group though! I would love to go on a cruise. I could never go on a cruise. The ocean scares me to death. We were offered a cruise as a wedding gift. I declined because of that. I would love to travel.I do not have any money though! fiaIve always wanted to do a cruise,ill be getting married soon and we may just do this as a honeymoon idea. I love your tips and recommendations. ..especially the one about checking the weather. I went on one cruise and the weather was bad a couple of nights in a row and it was not fun. Thanks for all your tips. Your packing tips are great! I always tend to overpack, and I didn’t think about the fact that during my cruise in August I’ll most likely want to wear my bikini the whole time, so I can save a lot of space by not bringing a lot of clothing. Great tips! I really do need some good recommendations. We’ve never taken a cruise because I’m afraid to commit the time/money to something I may hate. I think it would be so fun to do as a big family group! Great tips! I’ll keep them in mind when I go. I’d feel too vulnerable in the middle of the ocean. Too many scary creatures live in there. Thank you for the great tips. The hard part is talking my husband into it!! Great tips, but I’m still a little wary about a cruise. I think it’s the lack of control you have over everything. One day I’ll be brave and give it a try! I imagine that can be quite expensive. No boats for me. I could never get my hubby on a cruise, but perhaps I’ll venture out with a friend one day! Great tips. I’ve been on several cruises & I agree they can really be a great bargain. My tip is just don’t do it. It’s basically a hotel in the middle of the ocean. I don’t want to be shark food if the boat sinks. There’s so much for kids to do on the ships it’s awesome much of it is educational too showing them sea life etc. ,Most often there’s a guide who does activities with them,allowing you to get some relaxation in. I plan to go on my first cruise soon,but I prefer a short one. I think it would be awesome to have the whole family go on a cruise. Such fun! The photos are nice. I always thought a cruise was expensive, My fear of water keeps from going. I’ve been on two cruises – a three say and a 7 day. Loved it! Thanks for the tips; we are going on a cruise next year! A cruise is on my Bucket list, maybe someday! I never thought we could afford it. Great tips, we love cruising. I’d absolutely love a cruise ,my stepson loves the water and there are tons of awesome things for kids . I like the tips you laid out. Cruising is great for families! It sounds expensive. I’ve never checked into a cruise but I’ve heard that fees can add up quickly. I’ve been on two cruises and loved it! I used to work on a ship and these are great tips! I would say, though, depending on where you are traveling, sometimes it pays to book excursions through the ship. It might be cheaper elsewhere, but booking through the ship ensures that it won’t leave you if you get stuck in traffic or weather! For any vacation it’s good to research ahead of time. If you don’t, you may end up spending more than you thought. My guys would love a cruise it’d be perfect for family bonding . I’ve never been on a cruise & don’t see one in my future but i can only imagine how amazing it would be. Thanks for letting me dream. I have been on two cruises and loved ever minute. My brother takes his family ever 5 years and they plan ahead and open a special saving account to pay for it. We’ve started planning one for next year,im dying to go!! I’ve never been on a cruise, but hope to some day! These tips will definitely come in handy. I’ve heard that people tend to gain weight on a cruise. I’m not sure that I believe it though. You’d have to be on the ship quite a while. Sounds like a lot of fun! I think I would enjoy going on a Cruise. Like you, I was thinking that we couldn’t afford a Family Cruise… I think I’ll look into it now. I’d love to swim with the turtles too! Great tips very helpful thanks for sharing. I’ll be taking my son on his first cruise for his 18th birthday! A year & a half away but I am so excited! Where would you suggest I take him? I was goung to surpruse him with it or should I let him choose? Hi Cynthia, how exciting your son will be turning 18! Congratulations! My son will also be 18 next year and we are going to take another cruise. If you have never cruised before I would suggest maybe starting out on a 5 day Bahamas. Carnival Cruise tends to have frequent sailings for Bahamas and their fares are always very good. You are guaranteed to always have a good time.